Gadjah Mada International Journal of Business (GamaIJB), with registered number ISSN 1411-1128 (Print) and ISSN 2338-7238 (Online), is a peer-reviewed journal published three times a year (January-April, May-August, and September-December) by Master in Management Program, Faculty of Economics and Business, Universitas Gadjah Mada. GamaIJB is intended to be the journal for publishing articles reporting the results of research on business. The GamaIJB invites manuscripts in the various topics include, but not limited to, functional areas of marketing management, finance management, strategic management, operation management, human resource management, e-business, knowledge management, management accounting, management control system, management information system, international business, business economics, business ethics and sustainable, and entrepreneurship. Majalah Kedokteran Gigi Indonesia is an English language scientific periodicals published by the Faculty of Dentistry University of Gadjah Mada three times a year on every April, August and December. The submission process of manuscript is open throughout the year. All submitted manuscripts will go through the double-blind peer review and editorial review before being granted with acceptance for publication. Designed as a medium of information and scientific knowledge, Majalah Kedokteran Gigi Indonesia publishes numerous literatures, research articles, and case studies in the area of Oral Biology, Biomaterials, Biomedical Dentistry, Oral and Maxillofacial Surgery, Pediatric Dentistry, Dental Public Health and Preventive Dentistry, Conservation and Endodontics, Periodontics, Prosthodontics, Orthodontics, Oral Pathology, Dental Radiology, as well as with their development through interdisciplinary and multidisciplinary approach. Initially published as CERIL magazine (ISSN 0852-1352) on September 1st 1994, the magazine was renamed as Majalah Kedokteran Gigi (Dentistry Magazine). In 2015, the magazine had its online published version by the name of Majalah Kedokteran Gigi Indonesia, starting with Vol.1 No.1 with ISSN 2460-0164 of its print version and an online version from 2442-2576 in accordance with the policy of LIPI.Majalah Kedoketran Gigi Indonesia was designated as scientific periodicals accredited dated on May 31, 2016 by the Director General of Strengthening the Research, Technology and Higher Education of the Republic of Indonesia No. 36b / E / KPT / 2016 and is valid for 5 years PERIOD: 2016-2021. Since 2015, Majalah Kedokteran Gigi Indonesia has been using Open Journal System requiring all writers to register in advance before they are allowed to upload the manuscript they write online. Afterwards, the editors, peer reviewers, and writers can monitor the manuscript processing. Journal of Leadership in Organization (JLO), with registered number ISSN 2656-8829 (Print) and ISSN 2656-8810 (Online), is a peer-reviewed journal published twice a year (March and August) by the Center for Leadership Studies, Department of Management, Faculty of Economics and Business, Universitas Gadjah Mada. 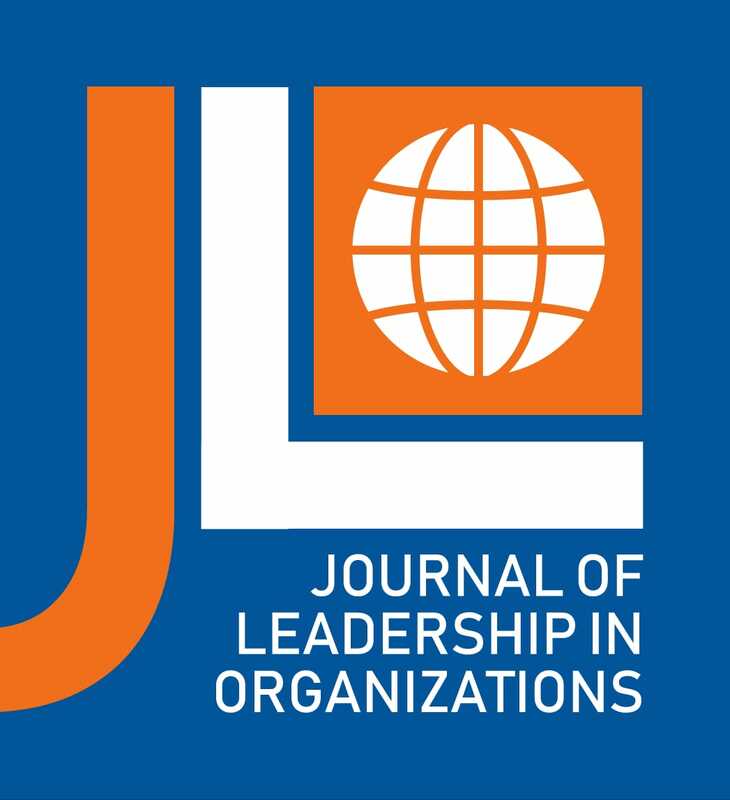 The Journal of Leadership in Organization (JLO) is intended to be the journal for publishing articles reporting the results of research on leadership. The Journal of Leadership in Organization (JLO) invites papers in the leadership topic in various contexts. Agrinova (Agrotechnology Innovation) is a scientific journal that publishes articles in agricultural field which focus on input and output innovations such as planting materials, fertilizer, bio-pesticide, water management, devices and energy and even post harvest sectors. Innovation will be done also for social capital in term of community institution and business management. Such innovations render agricultural production more efficient and profitable. Agrinova publishes two times a year (November and May). 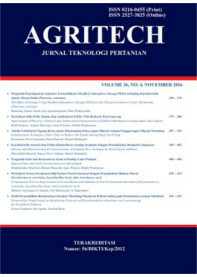 This journal is published by Center for Agrotechnology Innovation, Universitas Gadjah Mada, Yogyakarta, Indonesia. Bakti Budaya mempublikasikan hasil kegiatan pengabdian kepada masyarakat. Tulisan yang dimuat berupa temuan penelitian atau reﬂeksi pengajaran yang terhilirkan untuk pemanfaatan secara lebih luas oleh masyarakat. Hilirisasi dalam kegiatan pengabdian kepada masyarakat tidak terbatas pada konsep, metode, objek material penelitian dan kajian, tetapi juga aspek aspek penguatan kapasitas masyarakat dalam mengidentifkasi dan menyelesaikan permasalahan. Bakti Budaya terbit dua kali setahun pada bulan April dan Oktober dan diterbitkan oleh Fakultas Ilmu Budaya, Universitas Gadjah Mada. Design of mechanical components used in engineering structures, machines and engines, computer aided design (CAD), computer aided manufacturing (CAM), the development of methodology for designing machine elements or mechanical components. Finite element analysis, computational fluid dynamics, computational heat and mass transfer, applied mechanics, biomechanics. Manufacturing technologies, materials processing technologies, conventional and non-conventional machining, powder metallurgy, casting, welding, additive manufacturing and rapid prototyping, automation. Evaluation of engine performance, tribology and lubrication, engine maintenance, testing of mechanical components, materials characterizations, failure analysis. Experimental fluid dynamics, multiphase flow, heat and mass transfer, pump and compressor. Energy conversion, turbo machineries, internal combustion engines, power plant. Mechanical engineering education, learning method for mechanical engineering education, engineering ethics. We cordially invite authors to submit their manuscript in English or Bahasa Indonesia. JMDT is published by Department of Mechanical and Industrial Engineering, Faculty of Engineering, Universitas Gadjah Mada. Berkala Ilmu Perpustakaan dan Informasi, with registered number ISSN 1693-7740 (print), ISSN 2477-0361 (online) is a scientific multidisciplinary Journal that published by Perpustakaan Universitas Gadjah Mada in the national level that covered many main problems in the science of library and information. The aims of Journal publication is to disseminate the conceptual thoughts and ideas or research results that have been achieved in the area of library and information. Berkala Ilmu Perpustakaan dan Informasi publishes two times in a year i.e. June and December. Berkala Ilmu Perpustakaan dan Informasi has been accredited as a scientific journal by the Ministry of Research-Technology and Higher Education Republic of Indonesia: 51/E/KPT/2017 PERIOD: 2017-2022. Berkala Ilmu Perpustakaan dan Informasi, particularly focuses on the main problems in the development of the sciences of libraries, document and information areas. It covers the theoretical and general aspects of libraries and information; information use and sociology of information; users, literacy and reading; libraries as physical collections; publishing and legal issues; management; industry, profession and education; information sources, supports, channels; information treatment for information services; technical services in libraries, archives, museum; housing technologies, and information technology and library technology. Please read these guidelines carefully. Authors who want to submit their manuscript to the editorial office of Berkala Ilmu Perpustakaan dan Informasi should obey the writing guidelines. If the manuscript submitted is not appropriate with the guidelines or written in a different format, it will BE REJECTED by the editors before further reviewed. The editors will only accept the manuscripts which meet the assigned format. Majalah Geografi Indonesia ISSN 0215-1790 (print) ISSN 2540-945X (online) is a national journal in Indonesia published by the Faculty of Geography, Universitas Gadjah Mada in collaboration with The Indonesian Geographers Association, concerns with environmental issues, spatial temporal issue, also regional issues which release twice a twice a year in March and September. Indonesian Journal of Laboratory adalah Jurnal Pranata Laboratorium Pendidikan yang dikelola oleh Pranata Laboratorium Pendidikan Universitas Gadjah Mada, mulai diterbitkan pada bulan Desember 2018 dengan ISSN-e 2655-1624. Pranata Laboratorium Pendidikan yang disingkat PLP adalah jabatan dengan tugas, tanggung jawab, dan wewenang untuk melakukan pengelolaan laboratorium pendidikan dengan pengoperasian peralatan dan penggunaan bahan dalam kegiatan Pendidikan, pengajaran, penelitian dan pengabdian masyarakat sebagaimana termaktub dalam Permenpan dan RB No.03 Tahun 2010, Peraturan Bersama Menteri Pendidikan Nasional dan Kepala Badan Kepegawaian Negara Nomor 02/V/PB/2010 - Nomor 13 tahun 2010. Indonesian Journal of Computing and Cybernetics Systems (IJCCS), a two times annually provides a forum for the full range of scholarly study . IJCCS focuses on advanced computational intelligence, including the synergetic integration of neural networks, fuzzy logic and eveolutionary computation, so that more intelligent system can be built to industrial applications. The topics include but not limited to : fuzzy logic, neural network, genetic algorithm and evolutionary computation, hybrid systems, adaptation and learning systems, distributed intelligence systems, network systems, human interface, biologically inspired evolutionary system, artificial life and industrial applications. The paper published in this journal implies that the work described has not been, and will not be published elsewhere, except in abstract, as part of a lecture, review or academic thesis. Accreditated "Sinta 2" by the Ministry of Research-Technology and Higher Education Republic of Indonesia: 51/E/KPT/2017 PERIOD: 2017-2022. Abbreviation Indonesian J. Comput. Cybern. Syst. Please read these journal guidelines and template carefully. Authors who want to submit their manuscript to the editorial office of IJCCS (Indonesian Journal of Computing and Cybernetics Systems) should obey the writing guidelines. If the manuscript submitted is not appropriate with the guidelines or written in a different format, it will BE REJECTED by the editors before further reviewed. The editors will only accept the manuscripts which meet the assigned format. 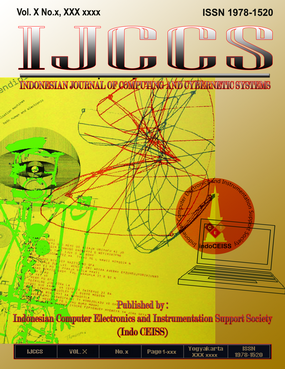 IJCCS is published two times annually, January and July by the Indonesian Computer, Electronics and Instrumentation Support Society (IndoCEISS) in colaboration with the Department of Computer Science and Electronics, Faculty of Mathematics and Natural Sciences, UGM, Yogyakarta. Since 2016, Open Journal Systems (OJS) has been applied for all business process in IJCCS. Therefore, the authors are required to register in advance and upload the manuscript by online. The process of the manuscript could be monitored through OJS. Authors, readers, editorial board, editors, and peer review could obtain the real time status of the manuscript. Since 2018, IJCCS is fully published in English. Several other changes are informed in the Journal History. IJCCS (Indonesian Journal of Computing and Cybernetics Systems), with registered number ISSN 1978-1520 (print), ISSN 2460-7258 (online). 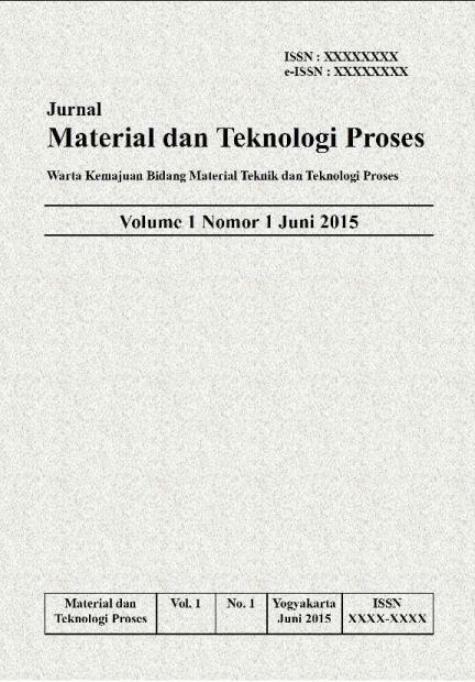 JURNAL TEKNOSAINS is a journal, which began publication in 2011, published by the Graduate School of Universitas Gadjah Mada. It starts from Volume 1 Number 1 in December 2011 for printed version and the online version; ISSN (print) 2089-6131 and ISSN (online) 2443-1311. 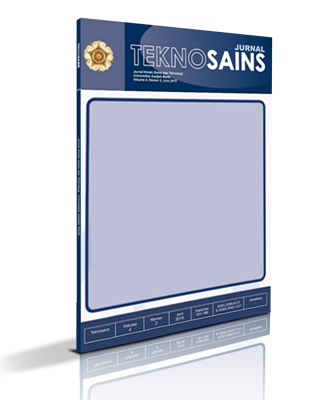 JURNAL TEKNOSAINS is a series of scientific publications in science and technology area from the perspective of a multi and interdisciplinary studies and it is published on each semester in June and December. Jurnal Teknosains has been accredited (B / Sinta 2) by Directorate General of Higher Education, Indonesian Ministry of Education since 2017 (valid until 2022) with the number 361/E5.2/SE/2017 in December 4, 2017. In 2017, Jurnal Teknosains has collaborated with the Operator Cooperation Agency for Higher Education Industrial Engineering Indonesia (BKSTI) to support Journal of Teknosains and working together in managing journals, exchanging articles, and distributing articles broadly together (for details click here). For submitting your article, please follow this link and follow the author guidelines in this link to meet our criteria for Jurnal Teknosains. If you need a step by step tutorial for online submission and our journal template, you download it on the right sidebar.If you still need assistance for further information, do not hesitate to contact our technical details via Whatsapp (just click icon). Agritech with registered number ISSN 0216-0455 (print) and ISSN 2527-3825 (online) is a scientific journal that publishes the results of research in the field of food and agricultural product technology, agricultural and bio-system engineering, and agroindustrial technology. This journal is published by Faculty of Agricultural Technology, Universitas Gadjah Mada, Yogyakarta in colaboration with Indonesian Association of Food Technologies (PATPI). Based on the Decree of the General Director of Strengthening the Research, Technology and Higher Education of the Republic of Indonesia No. 30/E/KPT/2018, Agritech was designated as an Accredited Scientific Journal with category "B" from April 26, 2017 to April 26, 2022. Since 2016, Open Journal Systems (OJS) has been applied for all business process in Agritech. Therefore, the authors are required to register in advance and upload the manuscript by online. The process of the manuscript could be monitored through OJS. Authors, readers, editorial board, editors, and peer review could obtain the real time status of the manuscript. Hard copy of the journal could be purchased by the system. Agritech publishes four times in a year i.e. February, May, August, and November. Several other changes are informed in the Journal History. Thank you for visiting Journal of Management and Pharmacy Practice (JMPF), Faculty of Pharmacy, Universitas Gadjah Mada, Indonesia. JMPF (ISSN: 2088-8139 E-ISSN: 2443-2946), which was established in 2011 and published 4 (four) times a year, has been accredited by Directorate General of Higher Education (DGHE) Ministry of Research, Technology and Higher Education of the Republic of Indonesia. JMPF is the first open access journal in Indonesia specialized in both research of pharmaceutical management and pharmacy practice. Articles submitted in JMPF are double-blind peer reviewed, we accept review articles and original research articles with no submission/publication fees. JMPF receives manuscripts in both English (preferably) and Indonesian Language (Bahasa Indonesia) with abstracts in bilingual, both Indonesian and English. JMPF is also open for various fields such as pharmaceutical management, pharmacoeconomics, pharmacoepidemiology, clinical pharmacy, community pharmacy, social pharmacy, pharmaceutical marketing, goverment policies related to pharmacy, and pharmaceutical care. Manuscripts should be submitted online. Further inquiries could be directed to the secretariat of the JMPF at jmpf@ugm.ac.id. Jurnal Gizi Klinik Indonesia (JGKI) merupakan open access and peer-reviewed journal yang memuat artikel penelitian (research article) di bidang gizi dan kesehatan, yang terkait aspek gizi klinis, gizi masyarakat, gizi olahraga, gizi molekular, biokimia gizi, pangan fungsional, serta pelayanan dan manajemen gizi. JGKI diterbitkan oleh Prodi S2 Ilmu Kesehatan Masyarakat, Fakultas Kedokteran, Kesehatan Masyarakat, dan Keperawatan Universitas Gadjah Mada bekerjasama dengan Persatuan Ahli Gizi Indonesia (PERSAGI) dan Asosiasi Dietisien Indonesia (AsDI) dengan frekuensi terbit empat kali dalam setahun. Berdasarkan keputusan Direktur Jenderal Penguatan Riset dan Pengembangan Kementerian Riset, Teknologi, dan Pendidikan Tinggi Republik Indonesia Nomor: 32a/E/KPT/2017 tanggal 26 April 2017, JGKI diakui sebagai Jurnal Ilmiah Elektronik Terakreditasi mulai tanggal 26 April 2017 - 26 April 2022. 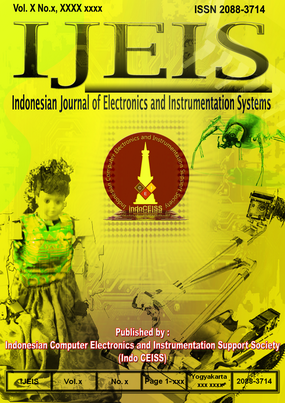 IJEIS (Indonesian Journal of Electronics and Instrumentation Systems), a two times annually provides a forum for the full range of scholarly study. IJEIS scope encompasses all aspects of Electronics, Instrumentation and Control. IJEIS is covering all aspects of Electronics and Instrumentation including Electronics and Instrumentation Engineering. The journal publishes original research papers, short communications, and review articles both written in Engish or Bahasa Indonesia. The paper published in this journal implies that the work described has not been, and will not be published elsewhere, except in abstract, as part of a lecture, review or academic thesis. Paper may be written in English or Indonesian, however paper in English is preferred. Abbreviation Indonesian J. Electron. Instrum. Syst. Please read these journal guidelines and template carefully. Authors who want to submit their manuscript to the editorial office of IJEIS (Indonesian Journal of Electronics and Instrumentation Systems) should obey the writing guidelines. If the manuscript submitted is not appropriate with the guidelines or written in a different format, it will BE REJECTED by the editors before further reviewed. The editors will only accept the manuscripts which meet the assigned format. IJEIS is published two times annually, April and October by the Indonesian Computer, Electronics and Instrumentation Support Society (IndoCEISS) in colaboration with the Department of Computer Science and Electronics, Faculty of Mathematics and Natural Sciences, Universitas Gadjah Mada, Yogyakarta. Since 2016, Open Journal Systems (OJS) has been applied for all business process in IJEIS. Therefore, the authors are required to register in advance and upload the manuscript by online. The process of the manuscript could be monitored through OJS. Authors, readers, editorial board, editors, and peer review could obtain the real time status of the manuscript. Several other changes are informed in the Journal History. IJEIS (Indonesian Journal of Electronics and Instrumentation Systems), with registered number ISSN 2088-3714 (print), ISSN 2460-7681 (online). Jurnal Pemikiran Sosiologi is an academic journal published by the Department of Sociology, Faculty of Social and Political Science, Universitas Gadjah Mada. The central area focus of the journal is to provide space for academic debate and critical thinking to flourish within the tradition of Sociology and other disciplines of social science and humanities. The editor of Jurnal Pemikiran Sosiologi welcomes sociolog, university students, activists and scholars from other disciplines of social science and humanities to share contributions that combine empirical research with critical reflection as part of institutionalizing and mainstreaming academic tradition based on critical perspectives. JKAP (Jurnal Kebijakan dan Administrasi Publik), with registered number ISSN 0852-9213 (print), ISSN 2477-4693 (online) is a scientific multidisciplinary journal published by Public Policy and Administration Master Program (MPPA) Universitas Gadjah Mada. It is in the national level that covers a lot of common problems or issues related to the public administration sciences. The aim of this journal publication is to disseminate the conceptual thoughts or ideas and research results that have been achieved in the area of public administrations and policies. JKAP, particularly focuses on the main problems in the development of the sciences of public policies and administrations areas. It covers the administration development, the regional autonomy and bureaucracy, the state apparatus, the decentralisation, the economic and science development, the public management, the governance and its policy, and any social sciences that cover sciences of public health, fiscal politics, and regional planning. JKAP (Jurnal Kebijakan dan Administrasi Publik) has been accredited as a scientific journal by the Ministry of Research-Technology and Higher Education Republic of Indonesia: 36b/E/KPT/2016 PERIOD: 2016-2021. Please read these guidelines carefully. Authors who want to submit their manuscript to the editorial office of JKAP (Jurnal Kebijakan dan Administrasi Publik) should obey the writing guidelines. If the manuscript submitted is not appropriate with the guidelines or written in a different format, it will BE REJECTED by the editors before further reviewed. The editors will only accept the manuscripts which meet the assigned format. Jurnal Ketahanan Nasional , abbreviated JKN, Jurnal Ketahanan Nasional specific is becausein relation with Geography, Natural Resources, Population, Ideology, Politics, Economy,Social-Culture, and Defence-Security (Asta Gatra). Jurnal Ketahanan Nasional is accredited Dikti : 32a / E / KPT / 2017 since april 2017. 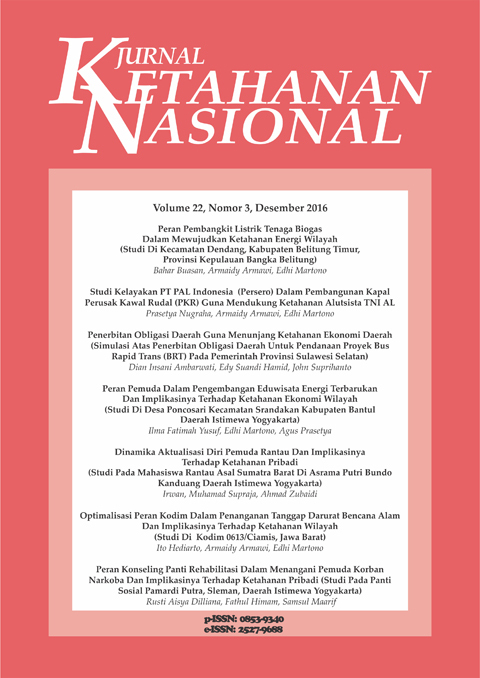 Jurnal Ketahanan Nasional is the periodically scientific publication in Indonesian language that is managed by Study Program of National Resilience, Graduate School Universitas Gajah Mada in co-operation with Lemhannas RI and published three times in a year, month of April, August, and December. Editorial staffs accept the contribution of draft that is parallel with the mission and view of this journalstressing on research and development, having Pancasila morale, insight of culture, soul ofdemocracy, and autonomy.The process of acceptance of draft is done every year. The draft accepted will be processed of double-blind peer reviewer , before it is accepted for publishing. Jurnal Ketahanan Nasional is published since December, 1 st, 1996, and published online since 2016 with ISSN version of the printed 0853-9340 and version of the daring of 2527-9688. Since 2016, National Resilience Journal uses Open Journal System (OJS), the writers must registrate firstly and upload the draft online. Editor, peer review, and writers can see the process of artickel in OJS. Regulation of Writing of National Resilience Journal, Ethics of Publication,Letter of Originality of Draft, and Author Fess can be downloaded in this template. 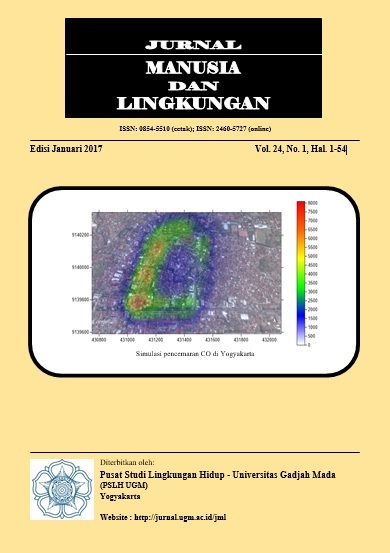 Jurnal Perlindungan Tanaman Indonesia with registered number ISSN 1410-1637 (print) dan ISSN 2548-4788 (online) is a scientific journal that publishes full-fledged research, short notes, reviews of scientific works, and other scientific features relevant to plant protection discipline. This journal is originally published by Department of Plant Protection, Faculty of Agriculture, Universitas Gadjah Mada, Yogyakarta in collaboration with Indonesian Entomological Society (Perhimpunan Entomologi Indonesia, PEI) and Indonesian Phytopathological Society (Perhimpunan Fitopatologi Indonesia, PFI). 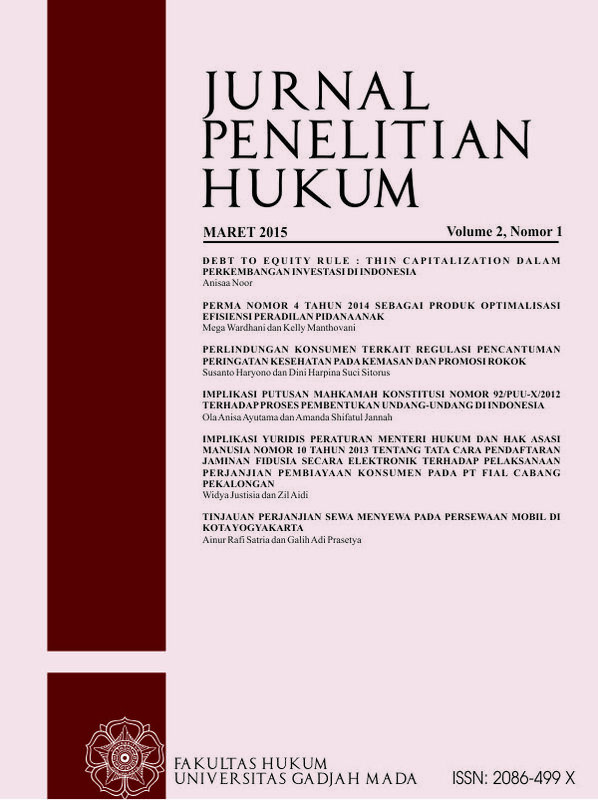 Jurnal Perlindungan Tanaman Indonesia publishes semi-annually, i.e. July and December. Jurnal Perlindungan Tanaman has been designated as an Accredited Scientific Journal since April 26, 2017, and it's valid for five years, based on the Decree of the General Director of Strengthening the Research, Technology and Higher Education of the Republic of Indonesia No. 32a/E/KPT/2017. Several other procedural changes may be found in the Journal History. Since December 2016, Jurnal Perlindungan Tanaman Indonesia has been starting to apply open journal system (OJS) for business process. Authors who want to submit manuscript are required to register and have to obey the writing guideline (please check into the article template for details information). The editing process of the manuscript could be monitored through OJS. A hard copy of the journal may also be purchased through the system (please fill in the journal order form here). 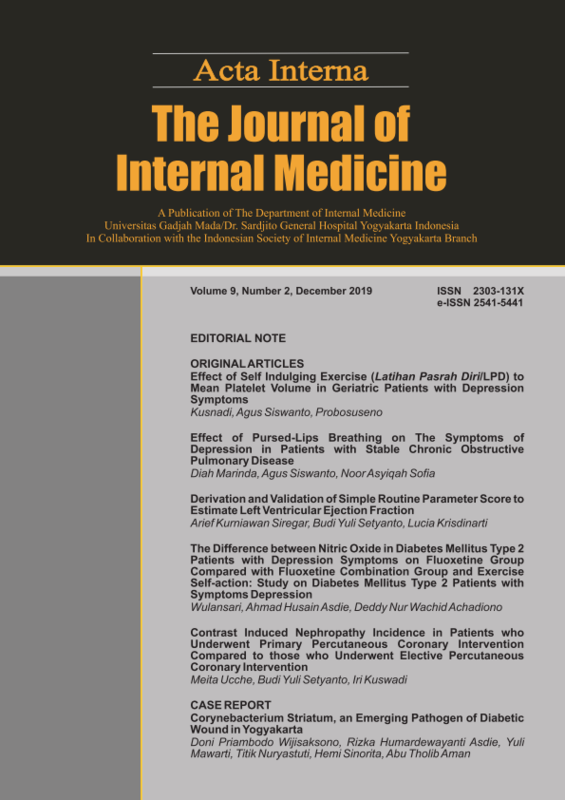 Majalah Farmaseutik, ISSN 1410-590x (print) and ISSN 2614-0063 (online), is a scientific journal published by Faculty of Pharmacy, Universitas Gadjah Mada, Indonesia. Releasing two issues annually, we dedicate our journal to research and development especially in the field of Pharmaceutics. We accept manuscripts that cover research in pharmaceutical biology, pharmaceutics, pharmaceutical chemistry, pharmacology, community clinics, and pharmaceutical management. Manuscripts accepted in our journal include research papers, original research articles, and research on short communication. We accept manuscripts written in both Indonesian (Bahasa Indonesia) and English. Our review system is single-blind peer review. Please note that our journal only accept submission through this website, and manuscripts sent to our e-mail will not be proceeded further. IKAT: The Indonesian Journal of Southeast Asian Studies ISSN 2580-6580 (Print) 2597-9817 (Online) is an academic, open access, and double blind reviewed journal about Southeast Asian societies and cultures. Founded in 2017 at the Center for Southeast Asian Social Studies (CESASS) Universitas Gadjah Mada, Yogyakarta, Indonesia. The Journal strives to provide new, rigorous and comprehensive knowledge and understanding of Southeast Asia through inter-disciplinary perspectives. Its scopes includes but is not limited to economic welfare, institutional knowledge production, history, political transformations and the social development of information and communication technology in the region. Contributors may focus on an in-depth individual country analysis or on comparing a multi-country case study. Given the mission statement of CESASS, contributors are encouraged to submit empirical, methodological, theoretical, or conceptual articles about Southeast Asia through the eye of social sciences. Issues are published biannually (in January and July). Submissions are open year-around and before submitting please ensure that the manuscripts fits within IKAT’s focus and scope, and is written in English and follows our author guidelines. PCD Journal is an initiative to promote works and reports written in high-quality academic standard on the dynamics of power, conflict, and democracy in developing countries, particularly in South and Southeast Asia. Themes on practices of human rights, popular representation, and participatory-based public policy are amongst the interests of the initiative. It is considered that there is a serious lack of scholarly publishers within this geographical area and within these thematic fields, partly, due to the colonial pattern in international publication. PCD Publication seeks to alter the condition. The main discipline area of the initiative is social sciences with sub-discipline areas in political science, human geography, and political anthropology. We invite concerned scholars and experts in related themes to share and discuss their research, knowledge, and works in academically equal spirit. The published works and reports in PCD Journal are under the condition of having to pass through the peer review system, involving international academics and experts. PCD Journal is set up as a network project, currently, involving Universitas Gadjah Mada in Indonesia, the University Colombo in Sri Lanka, and the University of Oslo in Norway. Demos Indonesia (the Indonesian Centre for Democracy and Human Rights Studies), the Social Scientists’ Association of Sri Lanka, and the International Centre for Ethnic Studies, Sri Lanka, are added into the collaboration. PCD Journal is currently managed by Department of Politics and Government, Faculty of Social and Political Sciences, Universitas Gadjah Mada (DPP UGM). Operationally, it is managed by DPP UGM research and publication unit, named as PolGov (Research Centre for Politics and Government). This management is continuing what has been respectably initiated by the Centre for Southeast Asian Social Studies (CESASS UGM). Indonesian Journal of Chemistry is an International, peer-reviewed, open access journal that publishes original research articles, review articles, as well as short communication in all areas of chemistry including applied chemistry. The journal is accredited by The Ministry of Research, Technology and Higher Education (RISTEKDIKTI) No : 21/E/KPT/2018 (in First Rank) and indexed in Scopus since 2012. 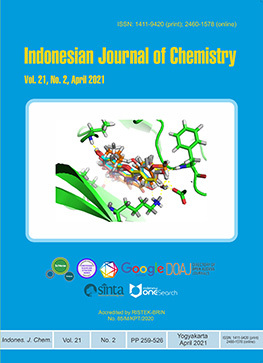 Since 2018 (Volume 18), Indonesian Journal of Chemistry publish four issues (numbers) annually (February, May, August and November). 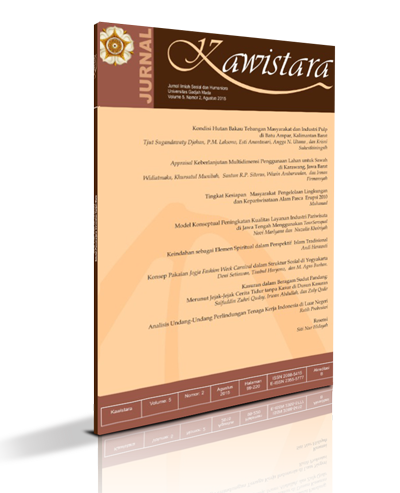 Kawistara : The Journal of Social Sciences and Humanities, one of the journals published by the Graduate School, Universitas Gadjah Mada, was established in April 2011 and has been accredited (B) or SINTA 2 by Directorate General of Higher Education, Indonesian Ministry of Education since 2014 with printed version of ISSN 2088-5415 and the online version of ISSN 2355-5777. For submitting your article, please follow this link and follow the author guidelines in this link to meet our criteria for Jurnal Kawistara. If you need a step by step tutorial for online submission and our journal template, you download it on the right sidebar or click here. If you still need assistance for further information, do not hesitate to contact us via Whatsapp (just click icon). Welcome to the official website of Mimbar Hukum. With the spirit of further proliferation of knowledge on the legal system in Indonesia to the wider communities, this website provides journal articles for free download. Our academic journal is a source of reference both from law academics and legal practitioner . 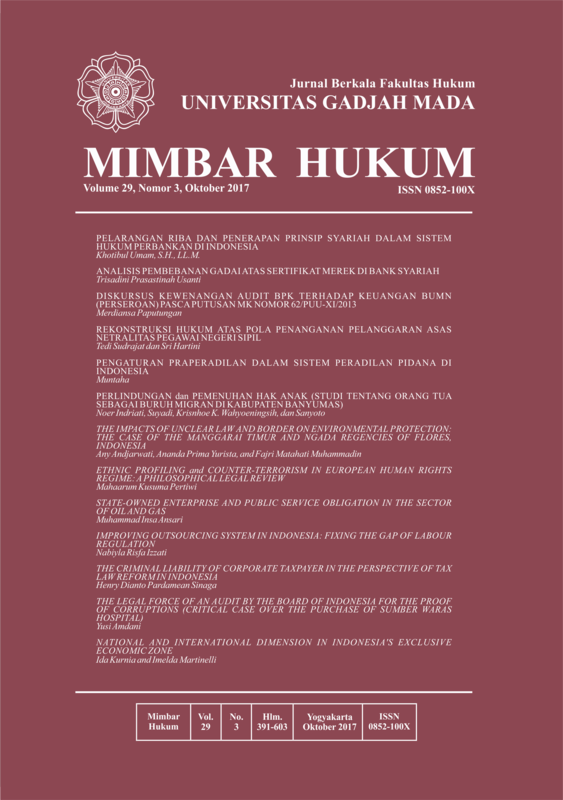 Mimbar Hukum is an academic journal for Legal Studies published by Journal and Publication Unit of the Faculty of Law, Universitas Gadjah Mada. Mimbar Hukum contains several researches and reviews on selected disciplines within several branches of Legal Studies (Sociology of Law, History of Law, Comparative Law, etc.). In addition, Mimbar Hukum also covers multiple studies on law in a broader sense. This journal is periodically published (in February, June, and October), and the approved and ready-to-publish manuscripts will also be regularly published in the website (with early view) and the hardcopy version will be circulated at the end of every period. Mimbar Hukum is published by Faculty of Law Univesitas Gadjah Mada and Partners. Buletin Peternakan (Bulletin of Animal Science) with registered number ISSN 0126-4400 (print) ISSN 2407-876X (online) is a scientific open access journal published by Faculty of Animal Science Universitas Gadjah Mada jointly with ISSTAP (Indonesian Society for Sustainable Tropical Animal Production). Buletin Peternakan has been accredited as a scientific journal by the Ministry of Research-Technology and Higher Education Republic of Indonesia: 36a/E/KPT/2016 PERIOD : 2016-2021. Buletin Peternakan (Bulletin of Animal Science) aims to publish original research results and reviews on farm tropical animals such as cattle, buffaloes, sheep, goats, pigs, horses, poultry, as well as non domesticated Indonesian endemic animals, such as deers, anoa, babirusa, etc. Buletin Peternakan encompasses a broad range of research topics in animal sciences: breeding and genetics, reproduction and physiology, nutrition, feed sciences, agrostology, animal products, biotechnology, behaviour, welfare, health, livestock farming system, socio-economic, and policy. 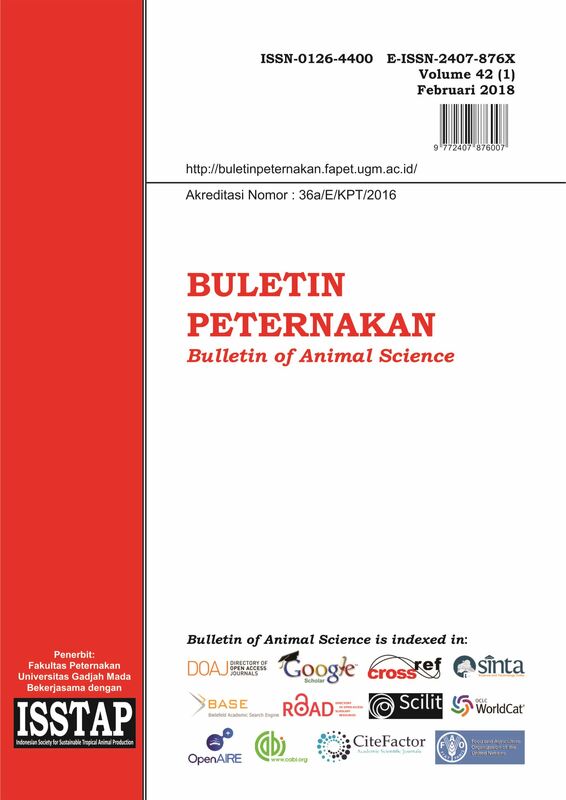 Buletin Peternakan (Bulletin of Animal Science) is published every three months (February, May, August, November). “Agroindustrial Journal” is published by Department of Agro-industrial Technology UGM in collaboration with Perkumpulan Profesi Teknologi Agroindustri (APTA). 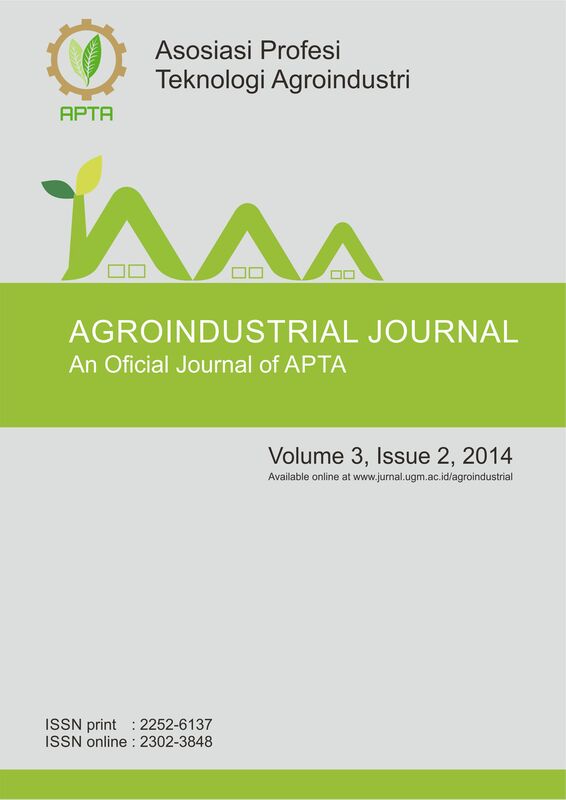 “Agroindustrial Journal” publishes research in agroindustrial systems engineering, technology and management. The subject matter in “Agroindustrial Journal” reflects the specific range and interdisciplinary nature of research in agroindustrial technology. Jurnal PolGov merupakan media penyebaran hasil-hasil penelitian dan karya ilmiah di bidang politik dan pemerintahan guna memfasilitas diskusi, interaksi dan pertukaran informasi di antara para ahli dan dan antara para ahli dan pengambil kebijakan. Jurnal PolGov terbuka bagi siapapun yang memiliki minat dan kehalian dalam bidang politik dan pemerintahan. Setiap naskah yang diterbitkan telah melalui proses blind peer review yang melibatkan para ahli dan akademisi yang terkait. Jurnal PolGov dibentuk oleh Departemen Politik dan Pemerintahan, Fakultas Ilmu Sosial dan Ilmu Politik, Universitas Gadjah Mada (DPP UGM), dan dikelola oleh Research Centre for Politics and Government (PolGov) sebagai unit penelitian DPP UGM. Journal of Indonesian Economy and Business (JIEB) is open access, peer-reviewed journal whose objectives is to publish original research papers related to the Indonesian economy and business issues. This journal is also dedicated to disseminating the published articles freely for international academicians, researchers, practitioners, regulators, and public societies. The journal welcomes author from any institutional backgrounds and accepts rigorous empirical research paper with any methods or approach that is relevant to the Indonesian economy and business context or content, as long as the research fits one of three salient disciplines: economics, business, or accounting. The JIEB is a nationally accredited by the Directorate General for Research Strengthening and Development, the Ministry of Research and Technology for Higher Education, Republic of Indonesia (Decree No. 30/E/KPT/2018). Furthermore, this journal has been Internationally indexed in EBSCOHost (Business Source Corporate Plus and Business Source Complete), EconLit, ProQuest, Google Scholar, DOAJ, Microsoft Academic Search, and ACI (ASEAN Citation Index). Journal of the Medical Sciences is publised quarterly by Universitas Gadjah Mada. Journal of the Medical Sciences (Berkala Ilmu Kedokteran) is a journal devoted to the publication of original articles in all field of basic, clinical medicine and medical biotechnology. Journal of the Medical Sciences is the media on research, innovative, ideas and new hypotheses in biomedicine, both for medical development, education and application. It also welcomes perspectives articles, biomedical hystory abriged articles, and reviews. Journal of the Medical Sciences (Berkala Ilmu Kedokteran) does not levy any charges including article processing charges (APCs), submission charges, page charges, and colour charges. 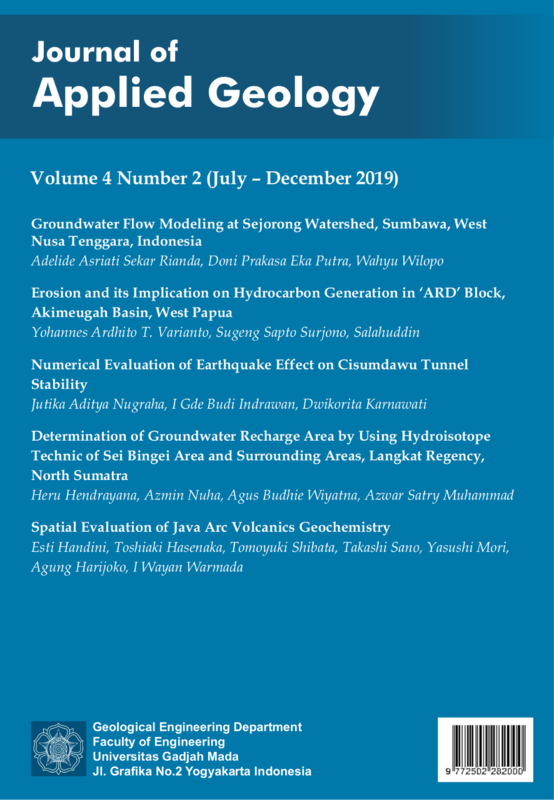 Indonesian Journal of Geography ISSN 2354-9114 (online), ISSN 0024-9521 (print) is an international journal of Geography published by the Faculty of Geography, Universitas Gadjah Mada in collaboration with The Indonesian Geographers Association. Our scope of publications includes physical geography, human geography, regional planning and development, cartography, remote sensing, and geographic information system. IJG publishes its issues three times a year in April, August, and December. Journal of Forest Science (printed version) is accredited by Directorate General of Research Enhancement and Development, Ministry of Research, Technology, and Higher Education No. 36a/E/KPT/2016 which will be valid until May, 2021. Jurnal Ilmu Kehutanan / Journal of Forest Science is published biannually (January-March and July－September) by the Faculty of Forestry Universitas Gadjah Mada, Sleman, Indonesia, in cooperation with Indonesia Forestry Scholar Association (PERSAKI). The Journal intended as a medium for communicating and motivating research activities, publishes research articles, short communications, and reviews in various aspects of forestry. Scientific papers published in the Journal are the contribution of researchers and those who concerned of forestry and environments. Articles with certain topics can also be published in the Journal in special editions. 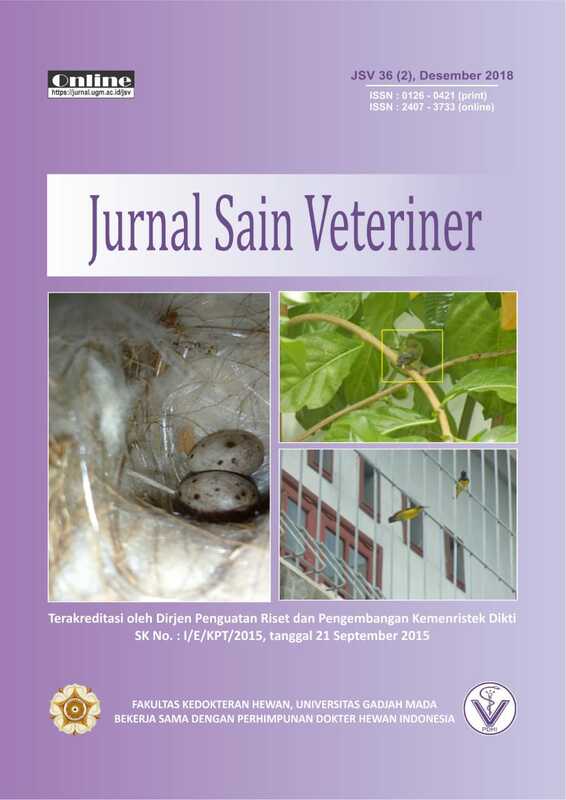 Jurnal Sain Veteriner (JSV), with registered number ISSN 0126-0421 (print), ISSN 2407-3733 (online) is a national journal published by Faculty of Veterinary Medicine, Universitas Gadjah Mada and Indonesian United of Veterinary (PDHI). Publication in JSV including original articles, reviews and case reports of a high scientific and ethical standard in all aspects of veterinary and biomedical research. The primary aim of the journal is to inform veterinary and biomedical scientists of significant advances in veterinary and related research through prompt publication and dissemination. Secondly, the journal aims to provide a general multi-disciplinary forum for discussion and debate of news and issues concerning veterinary science. Thirdly, to promote the dissemination of knowledge to a broader range of professions, globally. JSV encourages papers providing results that have clear implications for understanding disease pathogenesis and for the development of control measures or treatments, as well as those dealing with a comparative biomedical approach, which represents a substantial improvement to animal and human health. Khazanah:Jurnal Pengembangan Kearsipan terbit dua kali dalam satu tahun yaitu Mei dan November, semua manuskrip yang masuk ke dalam open journal system Khazanah: Jurnal Pengembangan Kearsipan diproses secara double blind review. SASDAYA, Gadjah Mada Journal of Humanities, is officially registered in the Centre for Scientific Documentation and Information (PDII) Indonesia Institute of Science with ISSN Number 2548-3218 (print) Decision Letter no. 0005.2548 / JI.3.1 / SK.ISSN / 2016. November 11-29, 2016 (Vol 1. No. 1, November 2016) and ISSN Number 2549-3884 (online), the Decision Letter no. 0005.25493884/JI.3.1/SK.ISSN/2017.02, February 14, 2017. 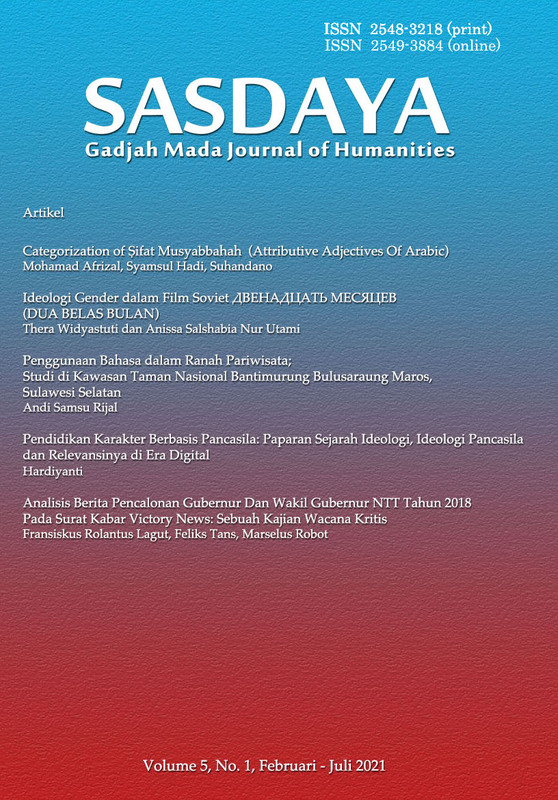 SASDAYA: Gadjah Mada Journal of Humanities is published twice a year (November and May). SASDAYA: Gadjah Mada Journal of Humanities (GMJH), is a multidisciplinary scientific journal with the primary aim of exchanging, developing, and disseminating of Humanities on Southeast Asia. Articles published in journals are based on research results, fieldwork, and literature studies (development of theory) by first through a peer-reviewed process. The Management of the journal invites academic, and researcher to submit their critical writing to contribute to the development of the humanities sciences. Jurnal Manusia dan Lingkungan shortened as JML is published by Pusat Studi Lingkungan Hidup (Center for Environmental Studies), Universitas Gadjah Mada, Yogyakarta, Indonesia. It is published three times a year/ quarterly on January, May and September. The journal is a scientific journal focusing to the relationship between people and its environment that are oriented for environmental problems solving. JML publish scientific articles i.e. original article, short communication and review. Every manuscript should be submitted online via OJS and follows to the author guideline and the template file. Reviewing proccess will be done as blind review. Accepted manuscript should pass as a suitable coverage and standard scientific manuscript, the content and refference quality (primary and up to date). JML was first published in year 1992, and published online since 2015 with printed ISSN 0854-5510 (Print) and daring version ISSN 2460-5727 (Online). Since 2015, JML has been using Open Journal System requiring all writers to register in advance before they are allowed to upload the manuscript they write online. Afterwards, the editors, peer reviewers, and writers can monitor the manuscript processing. 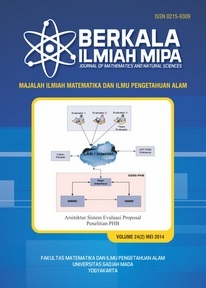 BIMIPA adalah majalah ilmiah untuk mempublikasikan hasil-hasil penelitian asli (original research paper) atau review literatur dalam bidang kimia, ilmu komputer, fisika, matematika, dan terapannya. 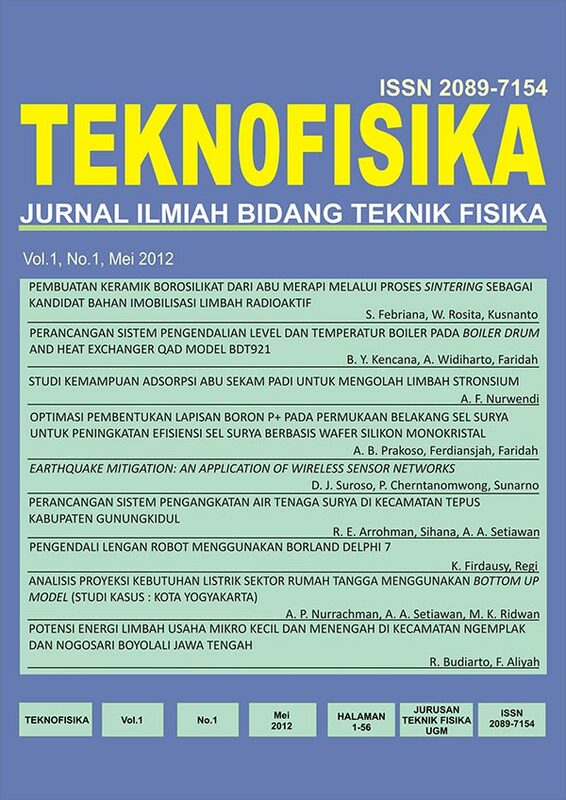 Jurnal Fisika Indonesia (JFI) Is an open access scientific peer-reviewed journal published by Department of Physics Universitas Gadjah Mada that publishes researches on Physics, covering both theory, experiments, computation and applied physics including geophysics. We have a mission to build scientific research foundations in theoretical and applied physics to support education, research and community service in Indonesia. A manuscript can be written in English or in Bahasa Indonesia, but Abstracts are required to be written in English. All submitted manuscripts will be reviewed thoroughly by the committee of editors and reviewers. Publication in this journal is free of charge and is periodically done three times a year (April, August, and December). 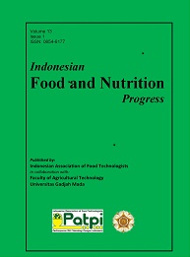 Indonesian Food and Nutrition Progress (IFNP), is a primarily online, open-access, and peer-reviewed journal published by the Indonesian Association of Food Technologists in collaboration with Department of Food and Agricultural Product Technology, Faculty of Agricultural Technology, Universitas Gadjah Mada. This journal is published two times a year which is a continuation of the last publication in 2005. The journal is devoted to a rapid peer-reviewed full-length original research paper, short communications, and critical reviews, which serves as an international forum for the exchange of information in all aspects of food technology and nutrition. Manuscript submission and reviewing process is fully conducted through online journal system (https://jurnal.ugm.ac.id/ifnp) using a double-blind review process. Food and Nutrition Progress includes a wide range of food technology and nutrition topics such as: Physical, chemical, biotechnological, microbiological, process engineering, analytical, and nutritional aspects; Post-harvest technology; Sensory evaluation; Diet plans; Gastronomy; Food safety and hygiene; Functional foods; Novel foods. All papers submitted should focus on the novelty of the research carried out. Furthermore, it is also opened for all participants coming from other countries worldwide, not only from Indonesia. Please see our Authors Guideline for information on article submission. If you require any further information or help, please visit our support pages. Jurnal Studi Pemuda is a pioneer of youth studies journal in Indonesia. Jurnal Studi Pemuda aims to facilitate academic, practical, and policy discussions on youth issues from a variety of perspectives. Jurnal Studi Pemuda aims to raise critical and alternative discourse in youth studies in Indonesia and at the global level. Jurnal Studi Pemuda is published twice a year and opens collaborative opportunities for studies in the youth issues. Managed by Youth Studies Center (YouSure) - a center of youth study located at the Faculty of Social and Political Sciences, Universitas Gadjah Mada. Editorial team of Jurnal Studi Pemuda invites interested enthusiasts of youth studies, whether students, practitioners, researchers or lecturers from various disciplines to write and exchange ideas about the results of empirical research, literature study, freely and critically. Jurnal Studi Pemuda use double blind review process. 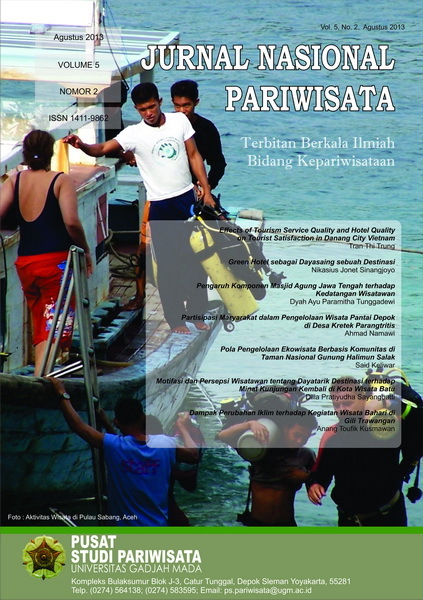 Jurnal Pengabdian kepada Masyarakat (Indonesian Journal of Community Engagement), with registered number ISSN 2460-9447 (print), ISSN 2541-5883 (online) is a scientific multidisciplinary journal published by Directorate of Community Services Universitas Gadjah Mada. It is in the national level that covers a lot of common problems or issues related to community services. The aim of this journal publication is to disseminate the conceptual thoughts or ideas and research results that have been achieved in the area of community services. Jurnal Pengabdian kepada Masyarakat (Indonesian Journal of Community Engagement), contains various activities of the teaching staff in UGM in handling and managing the various potentials, obstacles, challenges, and problems that exist in society. Implementation of service activities also involve the participation of the community and partners. Service activities are organized into an activity aimed at improving the welfare of society. In the following year of publication, the journal is going to publish trianually. Any interested author could submit the manuscript following the submission guidelines. Please read these guidelines carefully. Authors who want to submit their manuscript to the editorial office of Jurnal Pengabdian kepada Masyarakat (Indonesian Journal of Community Engagement) should obey the writing guidelines. If the manuscript submitted is not appropriate with the guidelines or written in a different format, it will be REJECTED by the editors before further reviewed. The editors will only accept the manuscripts which meet the assigned format. Every article that goes to the editorial staff will be selected through Desk Review and Initial Manuscript Evaluation processes by Editorial Board. Then, the articles will be sent to the Mitra Bebestari/peer reviewer and will go to the next selection by Double-Blind Peer-Review Process. Further details on reviewing policy and processes are available on submission guidelines. 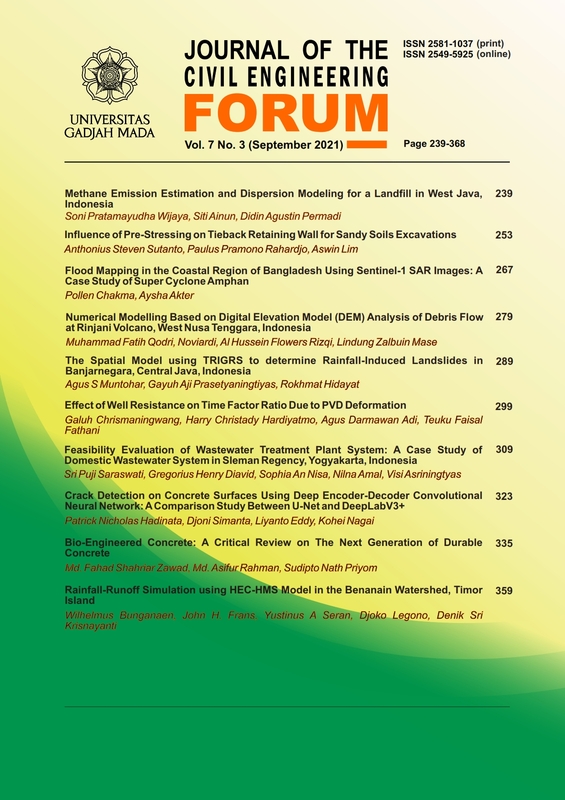 Agro Ekonomi, AE, with registered number ISSN 0215-8787 (print), ISSN 2541-1616 (online) is a scientific journal published by Department of Agricultural Socio-Economics, Faculty of Agriculture, Universitas Gadjah Mada jointly with PISPI (Perhimpunan Sarjana Pertanian Indonesia).. It is at the national level that covers a lot of common problems or issues related to the agricultural and natural resource policies, agribusiness and agricultural extension & communication sciences. It published regularly twice a year (June and December). Based on the Decree of the General Director of Strengthening the Research and Development, Ministry of Research, Technology and Higher Education of the Republic of Indonesia No. 21 / E / KPT/ 2018, Agro Ekonomi was declared as an Accredited Scientific Journal with category “Sinta 2” from Volume 27 Number 1, 2016 until Volume 31 Number 2, 2020. (2) The micro approach includes the study in the development of agribusiness (finance, farm management, functional and technical aspects) and agricultural local institutional. Journal of the Civil Engineering Forum (JCEF) is a four-monthly journal on Civil Engineering and Environmental related sciences. The JCEF is devoted to research on civil engineering related fields including structural engineering, geotechnical engineering, hydraulic and water resources engineering, environmental engineering, transportation engineering, and construction management, with particular emphasis on disaster risk reduction including the socio-engineering approach for the countermeasures. JCEF publishes three categories of paper, i.e. the articles, technical notes, the editorials and review articles, between 6 - 12 pages per paper, 6 - 10 papers per issue, reviewed by selected peer-reviewers. ACI (Acta Cardiologia Indonesiana) is published twice a year (biannually) by the Department of Cardiology and Vascular Medicine Faculty of Medicine, Public Health and Nursing, Universitas Gadjah Mada, Yogyakarta, Indonesia. 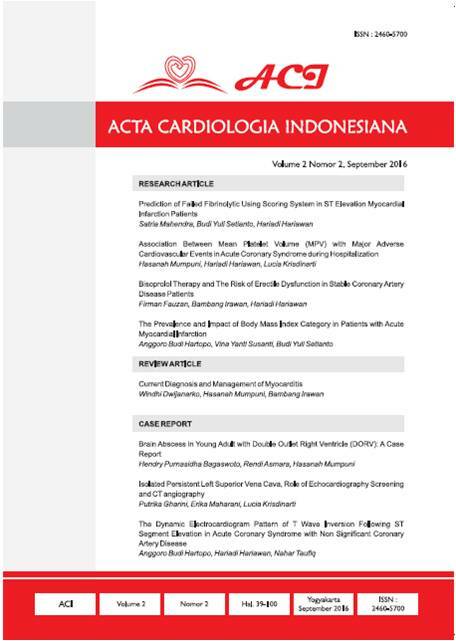 ACI (Acta Cardiologia Indonesiana) publishes original articles, review articles and case reports/case series articles on the field of cardiology and vascular medicine. ACI (Acta Cardiologia Indonesiana) is a forum for articles that present the results of research, innovative ideas and new hypotheses that stimulate the original thinking in the field of cardiology and vascular medicine. ACI (Acta Cardiologia Indonesiana) accepts articles of original research, review articles, case reports and case series that represent the advancement in cardiovascular science and practice. Basic medical research, translational research, clinical research and epidemiology/community research are welcomed to be submitted. Buletin Psikologi is a scientific journal that publishes non-empirical studies such as theoretical reviews and meta-analysis. It was founded by the Faculty of Psychology Universitas Gadjah Mada in 1993 and collaborated with Asosiasi Psikologi Positif Indonesia (AP2I) and Himpunan Psikologi Indonesia (Himpsi) in recent years. It aims to disseminate the advancement of critical scientific ideas for evidence-based application and practices. Since then, it has published various scientific work in the form of theoretical reviews, meta-analysis, and non-empirical research report, both in English and Indonesian. We publish twice a year in June and December, but submissions are welcomed throughout the year. In 2016, Buletin Psikologi has successfully integrated the Open Journal System (OJS), an online submission platform, to improve the quality and ease of the publication process. It allows authors, readers, editorial board, editors and peer reviewers to monitor the real-time status of the manuscript. Therefore, authors are required to register in advance and upload the manuscript through OJS. Hard copies of the journal can also be purchased through the system. 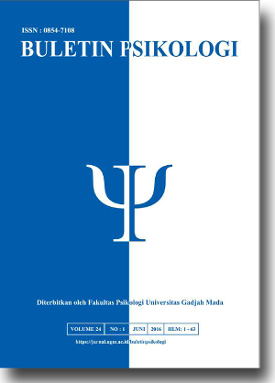 Gadjah Mada Journal of Profesional Psychology (GamaJPP) adalah jurnal ilmiah yang dievaluasi rekan sejawat (peer-reviewed) Mulai tahun 2018 terbit dua kali dalam satu tahun (Mei dan Oktober) oleh Fakultas Psikologi Universitas Gadjah Mada. GamaJPP bertujuan menyebarluaskan hasil kajian dan riset-riset dalam bidang psikologi terapan dan intervensi psikologi. GamaJPP mengundang para penulis untuk mengirimkan naskah tentang berbagai topik meliputi, namun tidak terbatas pada, riset-riset intervensi dalam pengembangan karakter (pendidikan karakter anak usia dini dan intervensi di sekolah), pengasuhan (hubungan anak-orang tua, strategi pengasuhan, dan stimulasi anak usia dini, identifikasi potensi anak berkebutuhan khusus), kesehatan mental (kesehatan mental ndividu dan komunitas, kesehatan mental di dalam keluarga, sekolah, dan lingkungan kerja), kualitas hidup (kebahagiaan, trust, self, achievement, kebersyukuran, kesabaran, cinta), neuropsikologi (koordinasi motorik, memori, hubungan emosi dan otak), dan kajian-kajian lain terkait psikologi terapan dan intervensi psikologi. GamaJPP mengundang para penulis untuk mengirimkan naskah tentang berbagai topic psikologi terapan dan intervensi psikologi baik dalam bidang pendidikan, industri dan organisasi, maupun psikologi klinis yang diterapkan pada anak, remaja, maupun dewasa. 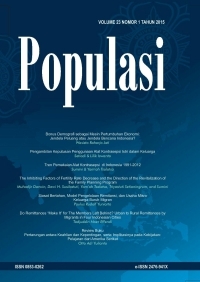 Populasi is a journal discussing population and policy issues. Populasi is published regularly twice a year in June and December. 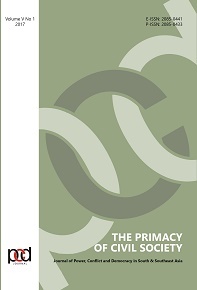 The Editorial Board receives manuscripts based on research, both on theoretical and empirical, related to population, policy, poverty, family planning, reproduction health, employment, environment and population, migration, crime, juvenile delinquency, and other issues related to the big theme in population and policy. Journal of Tropical Biodiversity and Biotechnology (JTBB) is an authoritative source of information concerned with the advancement of tropical biology studies in the Southeast Asia Region. It publishes original scientific work related to a diverse range of fields in tropical biodiversity, functional biology, and biotechnology. Journal of Applied Geology – JAG focuses on the applied geology and geosciences with its key objective particularly emphasis on application of basic geological knowledge for addressing environmental, engineering, and geo-hazards problems. The subject covers variety of topics including geodynamics, sedimentology and stratigraphy, volcanology, engineering geology, environmental geology, hydrogeology, geo-hazard and mitigation, mineral resources, energy resources, medical geology, geo-archaeology, as well as applied geophysics and geodesy. This journal is an open access journal, all contents are freely available without charge to the user. The submission process and publication costs are also free of charge. Users are allowed to read, download, copy, distribute, print, search, or link to the full texts of the articles in this journal without asking prior permission from the publisher or the authors. The journal adopting single blind review processes. Terbitan Berkala Ilmiah Bidang Kepariwisataan, diterbitkan 3 (tiga) nomor dalam setahun (Maret, Juli, November) oleh Pusat Studi Pariwisata Universitas Gadjah Mada. Jurnal ini merupakan sarana komunikasi dan penyebarluasan informasi hasil-hasil penelitian dan pengembangan, kajian serta pemikiran dalam bidang kepariwisataan. Redaksi menerima tulisan atau artikel ilmiah bidang kepariwisataan. Redaksi berhak mengedit tulisan tanpa merubah maknanya. Jurnal Material dan Teknologi Proses adalah media publikasi ilmiah di bidang ilmu material teknik (engineering material) dan proses manufaktur (proses produksi) yang diterbitkan oleh Departemen Teknik Mesin, Sekolah Vokasi, Universitas Gadjah Mada. Materi yang dibahas adalah berbagai teknik rekayasa bahan teknik seperti logam, komposit, keramik, biomaterial dan sebagainya, serta cara memprosesnya (pemesinan konvensional, non konvensional, fabrikasi, pengecoran hingga rapid prototyping). Isi naskah dapat berupa hasil penelitian, ide atau gagasan ilmiah dan review atas suatu topik dalam rekayasan bahan dan proses. POETIKA: Jurnal Ilmu Sastra is a half-yearly journal published by the literary studies program of gadjah mada university. It is founded in 2011, with registered number ISSN 2338-5383 (print), 2503-4642 (online). It provides forum for the scholar of literary studies with special interest in Arabic, English, French, Indonesia and Japanese literature. Thus the editorial board accept the articles within the scope of literary studies with various application of theory. Jurnal Filsafat is a scientific journal that first published in 1990, as a forum for scientific communication, development of thinking and research in philosophy. 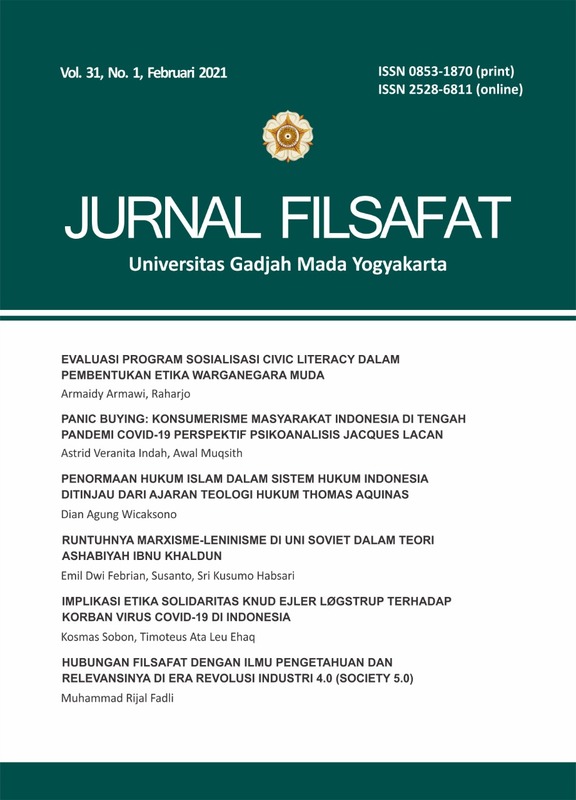 Jurnal Filsafat is published twice a year, in February and August with ISSN: 0853-1870 (print), and ISSN 2528-6811 (online). Jurnal Filsafat has been certified as an Accredited Scientific Journal at Rank 2, issued by The Ministry of Research, Technology, and Higher Education of the Republic of Indonesia (The Ministry Decree No. 21/E/KPT/2018, July 9th 2018). This accreditation applied to Vol. 26 No. 1, 2016 until Vol. 30 No. 2, 2020. The Editorial Team of Jurnal Filsafat accepts manuscript in the field of philosophy which has never been published in other media. Editorial Team has the right to edit the manuscript as far as not changing the substance of its contents. To start your submission manuscript, please download the template below. The Journal considers any original research that advocates change in, or illuminates, clinical practice. The journal also publishes interesting and informative reviews and opinions pieces on any topics connected with clinical practice. Manuscripts must be solely the work of the author(s) stated, not have been published previously elsewhere, and not be under consideration by another journal. all papers should be written to be clearly understandable to the journal`s readers in a wide range of specialities and countries. Diagrams, figures, and photographs should be used to supplement and enhance the text. IRJ Building Block 3, 5 floor, Jl. Kesehatan No.1, Yogyakarta. Journal of Information Systems for Public Health (JISPH) merupakan jurnal yang didesain secara online open access menggunakan Open Journal System (OJS). Jurnal ini diinisiasi oleh Minat Sistem Informasi Manajemen Kesehatan Fakultas Kedokteran UGM, terbit 3 kali setahun. Journal of Information Systems for Public Health (JISPH) dikembangkan untuk menyebarluaskan dan mendiskusikan berbagai tulisan ilmiah mengenai pengembangan, implementasi, maupun evaluasi sistem informasi dan informatika kesehatan masyarakat. 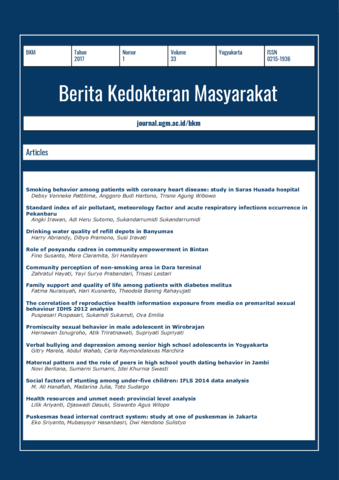 The Jurnal Kebijakan Kesehatan Indonesia : JKKI (JKKI) is an open access, peer-reviewed, multidisciplinary journal dedicated to the publication of novel research in all aspects of health policy. JKKI is published four times a year and accepts original research articles featuring well-designed studies with clearly analyzed and logically interpreted results. A strong preference is given to research that has the potential to make significant contributions to both the field of health policy in general. We invite authors to submit articles in the fields of health policy, health policy formulation, health policy implementation, health policy monitoring and evaluation. This journal is intended as a medium of communication for those who have attention to health policy such as policy makers at the central government level, local government, including in health service organizations such as hospitals, health services, BKKBN, drug industry managers, medical devices and health insurance, and research education institutions. JKKI is published by Center for Health Policy and Management (CHPM). JKKI uses an online submission and peer review platform, which allows authors to track the progress of their manuscript and enables shorter processing times. Only submissions made through this platform are accepted, with submitting authors required to create an JKKI account. Manuscripts submitted by any other means are automatically discarded. 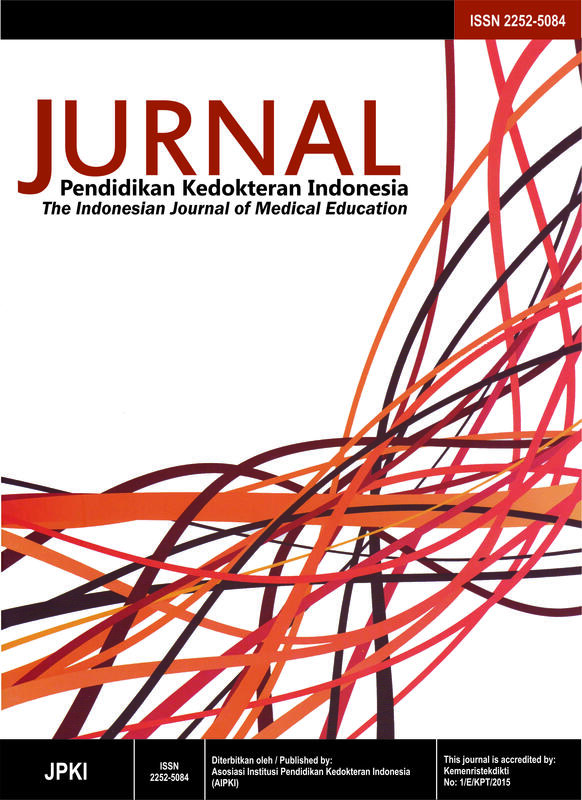 The Indonesian Journal of Medical Education (Jurnal Pendidikan Kedokteran Indonesia) is a peer-reviewed open-access journal which publishes research and innovation in curriculum development, student-centred learning, faculty development, assessment, and learning resources in health professions education. Aiming to improve literacy on health professions education in Indonesia and globally, this journal publishes three issues annually in English and Bahasa Indonesia. Berita Kedokteran Masyarakat adalah jurnal ilmiah di bidang Kesehatan Masyarakat yang diterbitkan oleh Prodi S2 Ilmu Kesehatan Masyarakat Fakultas Kedokteran, Kesehatan Masyarakat, dan Keperawatan (FKKMK) Universitas Gadjah Mada yang bekerja sama dengan Perhimpunan Dokter Kedokteran Komunitas dan Kesehatan Masyarakat Indonesia (PDK3MI) dengan STT SK. Menteri Penerangan Republik Indonesia No. 1143/SK/Ditjen.PPG/STT/1987 dan Ikatan Ahli Kesehatan Masyarakat Indonesia (IAKMI). Jurnal Berita Kedokteran Masyarakat (BKM) merupakan jurnal ilmiah yang memuat artikel penelitian (research article) yang diterbitkan empat bulan sekali sejak terbit tahun 1985, kemudian sejak tahun 2016 (Volume 32) BKM diterbitkan setiap bulan/ 12 kali dalam satu tahun. Artikel yang terbit di jurnal ini telah melalui proses review secara blind review oleh satu/ dua orang reviewer/ mitra bebestari. Para reviewer kemudian membuat keputusan berdasarkan rekomendasi dengan beberapa kemungkinan: ditolak, revisi mayor, revisi minor, atau diterima. 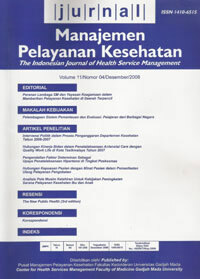 Jurnal Kesehatan Reproduksi is a scientific journal published by Association of Women and Children Reproductive Health Enthusiasts and Experts/Ikatan Pemerhati Anak dan Kesehatan Reproduksi/IPAKESPRO) who works closely with the Department of Obstetrics and Gynaecology, Faculty of Medicine, Public Health and Nursing, University of Gadjah Mada. Jurnal Kesehatan Reproduksi first printed version was published in 2014 with ISSN 2302-836X. In 2016, we also have an online journal version with ISSN 2621-461X. Jurnal Kesehatan Reproduksi was designated as scientific periodicals accredited dated on December 10, 2018 by the Director General of Strengthening the Research, Technology and Higher Education of the Republic of Indonesia No. 34 / E / KPT / 2018 and is valid for 5 years PERIOD: 2018-2023. Currently, we already use the Online Journal System, requiring all authors to submit their papers online. Afterwards, authors, editors and reviewers will be able to monitor the manuscript processing. This journal is published annually every April, August and December. 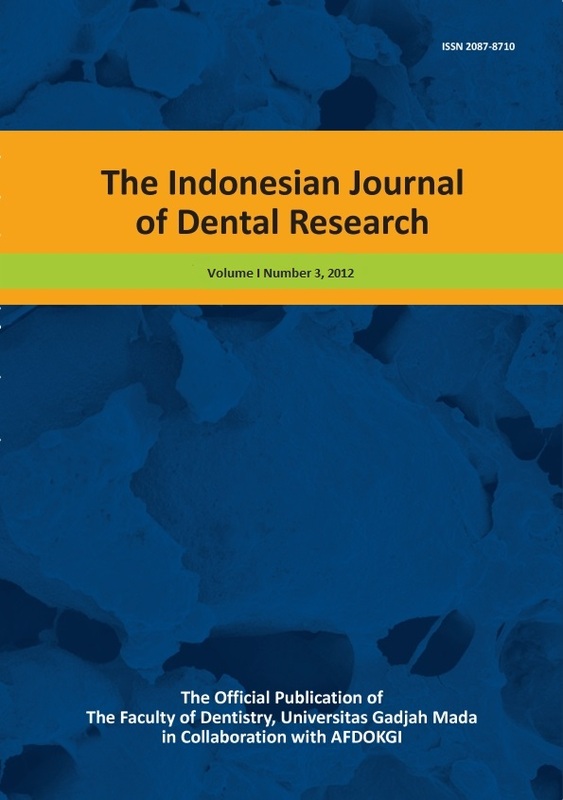 Submission of the manuscript is done throughout the year using direct online submission in https://jurnal.ugm.ac.id/jkr. All submitted papers will be reviewed according to rules and regulation. At present, the reviewing process is performed using single blind peer review; but in the future we will use double blind peer review. Reviewers will declare which manuscripts deserves to be published through online information. (3) Bioactive constituents of foods and pharmaceuticals, including antioxidants, phytochemicals, and botanicals. ASEAN Journal of Systems Engineering (AJSE) is published by Master Program of Systems Engineering, Faculty of Engineering, Universitas Gadjah Mada as a mean for publishing scientific works in form of research papers, literature study, or scientific review on published articles, about systems engineering especially in the field of energy, industry and environment. The journal is published twice a year (July and December), in both print and online versions. Vegetalika ISSN (Cetak): 2302-4054 dan ISSN (Online): 2622-7452 adalah open access jurnal yang mempublikasikan artikel-artikel ilmiah berupa gagasan dan hasil penelitian. Topik publikasi berkaitan dengan disiplin ilmu Agronomi mencakup Manajemen dan Produksi Tanaman, Hortikultura, Ekologi Tanaman, Fisiologi Tanaman, Genetika dan Pemuliaan, Teknologi Benih, Bioteknologi Tanaman, dan Biostatistika. Vegetalika menerbitkan publikasi sebanyak empat nomor dalam setahun (satu volume per tahun) yaitu pada bulan Februari, Mei, Agustus dan November setiap tahunnya. Jurnal ini dikelola oleh Departemen Budidaya Pertanian, Fakultas Pertanian, Universitas Gadjah Mada. Proses review pada Vegetalika dilakukan dengan metode double blind review oleh ahli di bidang Budidaya Pertanian dan bidang terkait, yang telah memiliki pengalaman menulis di jurnal Internasional bereputasi. Artikel reguler (Regular articles): artikel tipe ini mendiskusikan temuan-temuan baru dan secara teliti memberikan konfirmasi terhadap temuan-temuan baru tersebut. Prosedur percobaan harus disampaikan secara jelas dan lengkap dalam artikel sehingga memberikan kesempatan bagi para pembaca untuk memverifikasi penelitian yang telah dilakukan. Makalah lengkap harus mampu mendeskripsikan dan meninterpretasikan kegiatan penelitian yang telah dilakukan secara jelas. Komunikasi singkat (Short communications): artikel tipe ini sesuai untuk memaparkan hasil investigasi sederhana yang lengkap atau memberikan rincian model baru atau hipotesis, metode inovatif, teknik atau peralatan. Metode penulisan artikel komunikasi singkat tidak harus sama dengan artikel penelitian reguler. Artikel review (Review articles): artikel ini berupa review ataupun perspektif yang membahas topik-topik menarik terkini (aktual) dalam bidang pertanian. Accredited by the Director General of Strengthening the Research, Technology and Higher Education of the Republic of Indonesia No. 30/E/KPT/2018 as SINTA 2 (2016-2021). Jurnal Rekayasa Proses (J. Rek. Pros) is an open-access journal published by Chemical Engineering Department, Faculty of Engineering, Universitas Gadjah Mada as scientific journal to accommodate current topics related to chemical and biochemical process exploration and optimization which covers multi scale analysis from micro to macro and full plant size. J. Rek. Pros. publishes communications, articles, and reviews. The first volume of J. Rek. Pros. has been published in 2007 and continued until today with 2 (two) issues of publication each year. The minimum number of articles for each issue is 5 (five) articles. The official language of the journal is Bahasa Indonesia, but manuscripts in English are also welcomed. Manuscript submission and reviewing process is fully conducted through online journal system (https://jurnal.ugm.ac.id/jrekpros) using a double-blind review process.